A rescue crew investigates a spaceship that disappeared into a black hole and has now returned - with someone or something new on-board. Based on my normal viewing preferences, I should like the works of director Paul WS Anderson. He creates the kind of action flicks with a sci-fi emphasis that should be up my alley, but usually, his films leave me cold. Given the minor cult that formed around it, I held out hope that 1997’s Event Horizon would finally provide an Anderson film for me to love. Alas, this proves not to be the case. At the flick’s start, text tells that in 2040, the “deep space research vessel ‘Event Horizon’ launched to explore boundaries of solar system.” It soon vanishes and doesn’t reappear until 2047. At that time, authorities receive a weak transmission from the Horizon. They send a search and rescue mission headed by Captain Miller (Laurence Fishburne) and his crew on the “Lewis and Clark”. They take along Dr. William Weir (Sam Neill), the designer of the Horizon. When they find the vessel, they encounter many frightening and threatening situations. While I won’t call Horizon a total rip-off of Alien, Anderson certainly wears his influences on his sleeve. 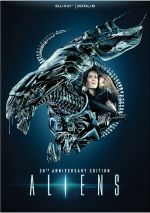 Indeed, his film version of Resident Evil showed many allusions to Aliens, so I suppose it makes sense that Anderson had previously paid homage to the original Alien. References to the 1979 classic abound in Horizon and give the film a stale sense that reflects a lack of inspiration. Anderson borrows from many other flicks as well, as Alien isn’t the only source for Horizon. Its sci-fi ghost story displays signs of movies like The Shining, Hellraiser and a mix of other horror films. If many original moments exist here, it seems difficult to find them. Frankly, I almost wish Anderson had simply ripped off only one source and created a de facto remake of Alien or whatever else suited him. At least if he stayed with one inspiration he might have managed a movie with a coherent and compelling story. Instead, Horizon takes a very simple “search and rescue” plot and muddles it badly. Not much about the movie makes sense, and it does little to prompt us to care about it. With its generic characters and cheap horror scares, the film doesn’t create a world with anything to maintain our interest. In the process, Anderson wastes a surprisingly strong cast. While you won’t find a single “A”-list star here, that doesn’t mean we don’t discover a lot of talent. In addition to Fishburne and Neill, the film includes folks such as Jason Isaacs, Kathleen Quinlan and Joely Richardson. We find a rather deep roster of actors when we consider the “B”-movie origins of Horizon. Too bad Anderson doesn’t have the slightest clue what to do with them. Rarely will you see so many talented actors look quite so bored and clueless, so not a single one of them manages to do anything with their flat characters. Of course, the one-dimensional script causes some of those problems, but in the hands of a more capable director, the performers could have elevated their roles. That doesn’t happen here, as the actors seem just as disenchanted with this stale material as I was. I can’t say I consider Event Horizon to be a disappointment. After all, Paul WS Anderson never managed to make any really good movies, so I couldn’t expect anything great. Nonetheless, given its positive reputation, I hoped for more from it but I felt it came up short. Event Horizon appears in an aspect ratio of approximately 2.35:1 on this Blu-ray Disc. The movie came with a decent but dated transfer. Sharpness had a few problems, some of which connected to edge haloes. Those cropped up through the film, and while they didn’t seem heavy, they created persistent distractions. These also led delineation to be a little spotty, as wider shots lacked great clarity. The use of digital noise reduction dented detail as well and led faces to see too smooth and unnatural. I saw no signs of jagged edges or shimmering, but periodic examples of specks and grit popped up through the film. Though these weren’t constant, they occurred more often than I’d like. Horizon went with a cold, metallic palette. Occasional examples of greens and reds appeared – usually via lighting – but the movie mostly stayed with cool tones. The disc replicated these well and displayed them with more than adequate fullness. Blacks seemed deep and dense, and most shadows were appropriately clear. The main exceptions related to shots of dark-skinned actors, as it became tough to discern their faces in many of the movie’s low-light scenes. Though parts of the image looked very good, too many problems cropped up for this to be better than a “C+” presentation. The Dolby TrueHD 5.1 audio of Event Horizon seemed better, though a few issues appeared there as well. In particular, a little distortion crept into the mix on occasion – more than I’d expect from a relatively “modern” track. Otherwise I found a lot to like from the audio, and the soundfield was appropriately active. It created a good sense of the outer space setting and allowed elements to move around the spectrum neatly. The action sequences formed a solid setting and the quieter scenes offered creepy ambience. All five speakers participated actively. Except for the occasional light distortion, audio quality was good. Speech seemed natural and crisp, and I noticed no signs of edginess. Music showed nice range and definition. The score was consistently bright and bold. Despite the mild distortion, effects usually came across as full-bodied and possessed a good impact. Bass response was full and tight. Overall, the mix worked well. How did the Blu-ray compare to the 2006 Special Collectors Edition DVD? Audio seemed noticeably stronger, as the TrueHD version lacked the DVD’s more severe distortion and demonstrated superior bass response. Visuals showed the usual format-based improvements, as the Blu-ray offered stronger delineation and clarity. However, I suspect the Blu-ray just reused the DVD’s transfer, as it came with identical problems. It looked better due to BD’s superior capabilities, but the movie could use a new transfer. The Blu-ray includes the same extras as the DVD, and we start with an audio commentary. It presents a running, screen-specific chat with director Paul WS Anderson and producer Jeremy Bolt, both of whom sit together. Veterans of the format, they show comfort with commentaries but don’t manage to make this one memorable. Anderson and Bolt cover how they came onto the project, its rushed production, sets and various effects, influences and inspirations, the cast, cinematography and design, cut scenes and trims, and other general notes. This acts as a decent nuts and bolts examination of the process, and we occasionally find good stories. I especially like Anderson’s discussion of how he worked to meld the very different acting styles of Laurence Fishburne and Sam Neill. However, I can’t say the commentary leaves a terrific impression overall. It goes slowly at times and doesn’t seem an involving or complete as I’d like. Expect to find a fair primer here but not a terrific chat. Next we go to The Making of Event Horizon. This five-part documentary fills a whopping one hour, 43 minutes and one second with notes from Anderson, Bolt, production designer Joseph Bennett, animated extras chief supervising designer Pauline Fowler, actor Jason Isaacs, Image Animation effects consultant Bob Keen, special effects producer Stuart McAra, special effects supervisor Richard Yuricich, and Orbital’s Phil and Paul Hartnoll. The show looks at Anderson’s influences and the project’s development. From there it digs into stages, sets and the movie’s look, the qualifications of the crew and their work, and the cast, their performances and their interactions. The program continues with information about various shooting difficulties and technical issues, prosthetics, makeup and visual elements on the set, ship design and creation, and various effects concerns. Finally, the piece goes through edits and studio pressure, the score, and final thoughts about the flick. Inevitably, a fair amount of material from the commentary repeats here. That said, the documentary acts as a better source of information. It covers the various topics in a more direct, coherent manner and lacks the commentary’s slow spots. In addition, shots from the set and other behind the scenes elements help flesh out our understanding of the production. The presentation occasionally becomes monotonous; the chapter that deals with effects often offers little more than very dull “talking head” shots of McAra and Yuricich. However, things usually work fine and this turns into a very strong documentary. We get one deleted scene and two extended scenes in the Secrets area. Taken together, these run a total of 10 minutes, three seconds. These include “Deleted Briefing Scene”, “Extended Medical Bay Scene”, and “Extended Burning Man Confrontation”. The last two include no production sound and come only with commentary from Anderson, while his remarks are optional with “Briefing”. Anderson gives us good information about the scenes and the changes made to them. As for the sequences themselves, “Briefing” is the most interesting, though I think it was a smart cut as it ruins some of the tension and surprises. In “The Unseen Event Horizon”, we split into two areas. The Un-Filmed Rescue Scene gives us a two-minute and 57-second collection of storyboards for what would have been our intro to the Lewis and Clark. Anderson discusses it and offers nice background about it. I wish they’d filmed it, as I think it’d have made a nice start to the story. When we look at Conceptual Art, we get a three-minute, 52-second montage of images. Accompanied by narration from Anderson, we see drawings and paintings created for a mix of elements used in the film. We get a decent little overview of these stages of the production. The Point of No Return divides into four featurettes that run a total of eight minutes, 12 seconds. Featuring commentary from Anderson, these show various elements from the set. We look at “The Revolving Corridor”, “The Crew Gathers”, “Shooting Wire Work” and “The Dark Inside”. These let us see various elements of the shoot while Anderson gives us notes about them. All of this works fine, though I’d have preferred optional commentary, as I’d like to hear what the participants said on the set. Finally, the disc presents two trailers. We find the film’s theatrical clip along with a video promo. 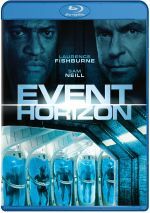 A ridiculously derivative film, Event Horizon comes across as less than the sum of its parts. The movie steals with abandon but fails to tie together the components into a coherent, entertaining whole. The Blu-ray offers very good audio and supplements but picture seems inconsistent. This isn’t an awful flick, but it doesn’t overcome its inherent problems.